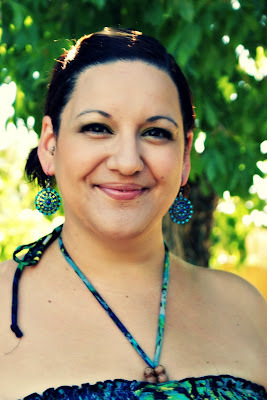 I Heart My Glue Gun: The 5 minute earrings! Today I want to share with you how to make the easiest.earrings.EVER. I don't wear earrings. Like, EVER. I have many holes in my ears, but I don't wear earrings anymore because I just feel WEIRD wearing them. Like I look funny. Well, I want to branch out. Live on the wild side. Be fashionable, and wear earrings. But picky, I am. So I'm going to share with you earrings that I made in 5 (yes, FIVE) minutes! I took these cute little charms found in the jewelry dept at Michael's for $2.79 and a pair of ugly earrings that came with a necklace I bought awhile back. I took off the beads on the earrings, used a jump ring to attach the actual earring to each charm, and there it was! 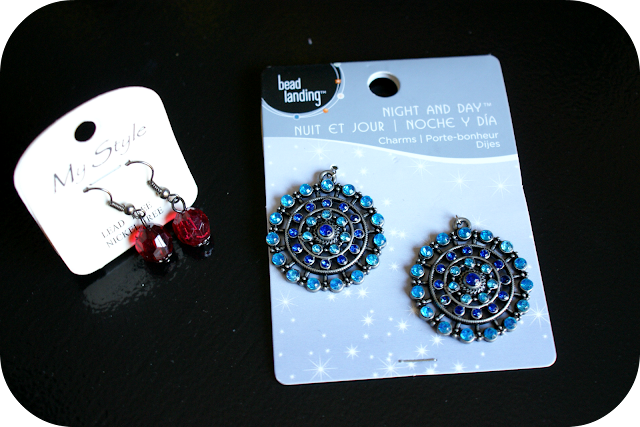 A gorgeous set of earrings for $2.79! When I wore them out and asked my boys how they looked, they laughed...HARD. They're just not used to seeing me with earrings. I'm very tomboyish when I'm not dressed up. But the longer I leave them in, the more I like them. Here's to a future in earrings! Cute, easy idea...and you look nice in them...I feel the same way about earrings. I wear little posts or small hoops and feel weird in dangles but I love them on everyone else!!! I like them---a lot!! I, too, have gotten away from wearing earrings, but I'm trying to make myself be more conscious of my appearance and try to occasionally get foundation, blush, lipstick, maybe even mascara (behind my glasses) on my face. I know I looked nicer when I did these small things, gotten out of the habit. You've inspired me, as did my jewelry-making, make-up wearing friend yesterday, LOL. Wow! The look great! Super easy! Bonus!!! Newest GFC follower. Love for you to stop by and return the follow. I am hosting a Mom's Monday Mingle. Love for you to stop by and link up! Your new earrings look absolutely gorgeous. Jewelry making is such a fun hobby, my daughter and I love re-creating and making new jewelry. Thanks for stopping by my blog and leaving your lovely comment. I love your earrings, and they look great on you! Such a great idea. Thanks for sharing. This is sooooo cool! both the idea - and the earrings. Thanks! Love how they look on you! :) Blue suits you.. Thanks for linking up at Friday Fun Party. Have a nice weekend! Those are so cute! I absolutely love the colors. Thanks for sharing. And you look all pretty and stuff when you're dressed up. . . . there. . . that should make up for what your boys 'should' have said! Thanks for stopping by the Sit and Relax hop. Have a great weekend!